Learn How To Make Vegetable Tahiri Recipe | Easy To Make Aromatic One Pot Veg Tehri | Veg Taheri recipe with quick video tutorial. Taheri is a delicious one pot rice and vegetable based meal which is one of the most popular luxuries of Awadhi cuisine. 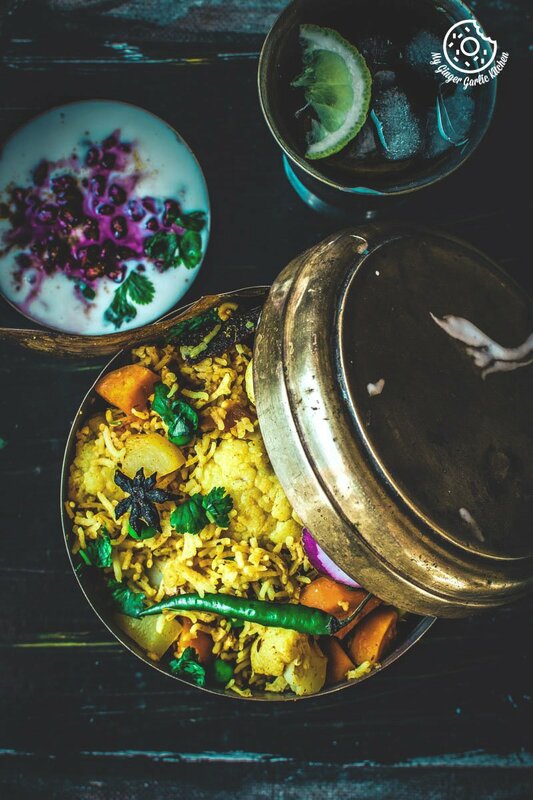 Vegetable Tahiri hails from the Indian state of Uttar Pradesh. This fancy looking, palatial, fragrant and so delicately fluffed basmati rice can make anyone love them. The mouth-watering flavors in this dish are mildly spicy and perfectly fragrant. 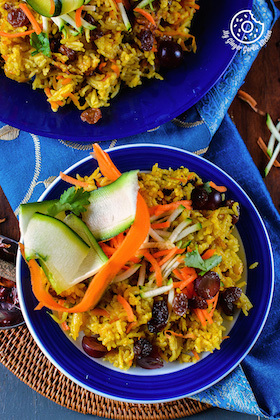 This aromatic Taheri is an adaptation of another popular Indian dish — ‘Veg Pulao’. Tahiri can either be made with vegetables or meat. 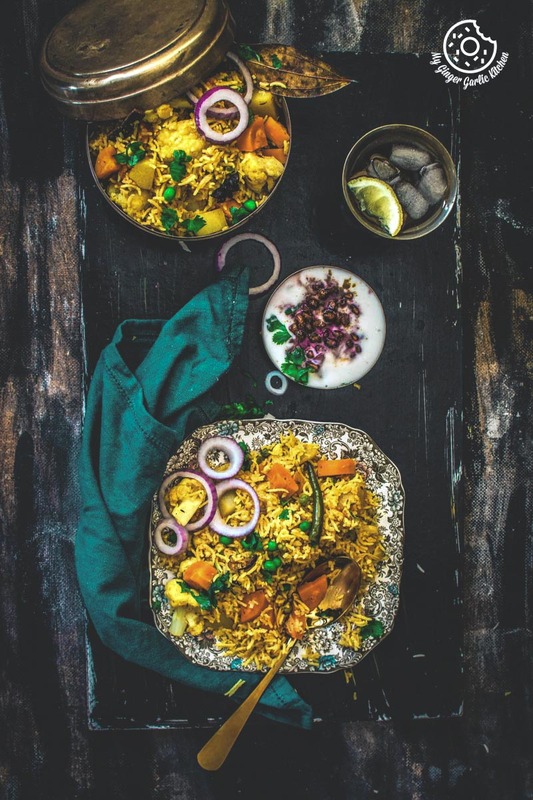 This recipe of veg Tehri uses the blend of vegetables like cauliflower, potatoes, carrots, and peas. Potatoes and Cauliflower alone can make any dish desirable. 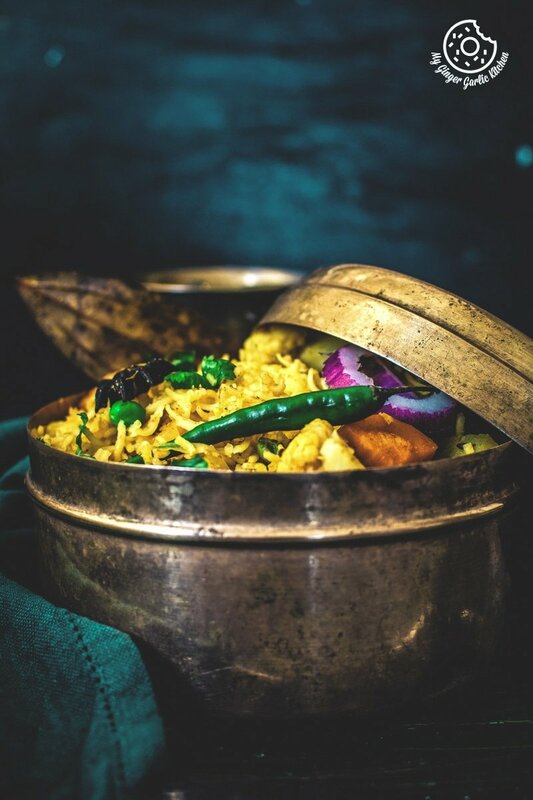 They are absolutely irresistible when they are combined with a uniquely aromatic dish such as this Tehri. 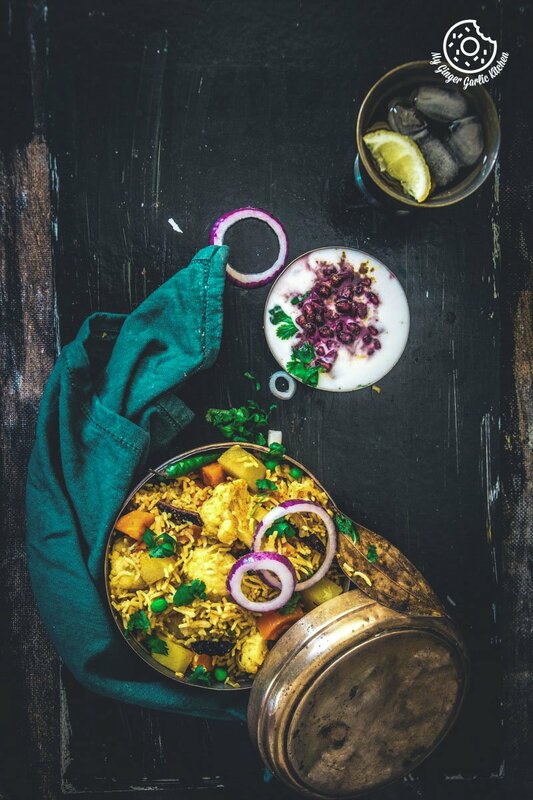 This Vegetable Tahiri /Taheri/Tehri is an Awadhi dish which is quite popular in the north Indian state of Uttar Pradesh. This dish is also known as ‘Sabziyon Ki Tehri’, which is the straightforward translation of vegetable tehri. 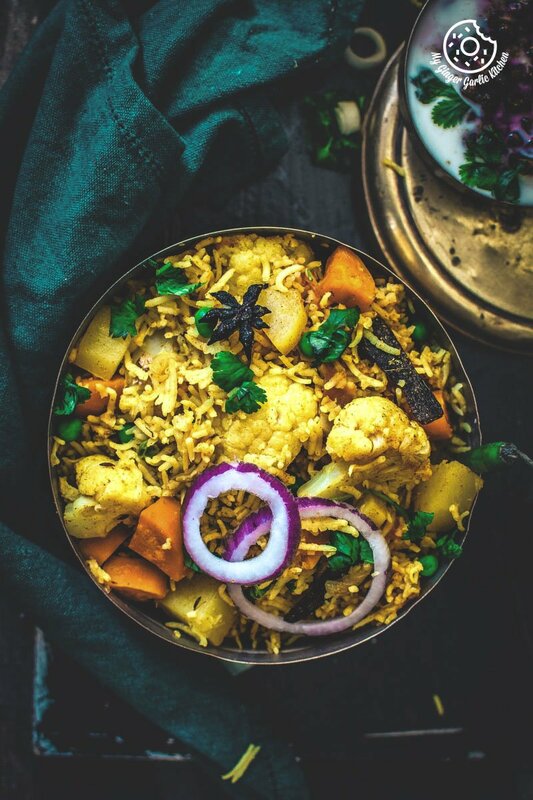 This one pot vegetable Tahiri (rice) recipe is nicely aromatic, fluffy and perfect to serve as a main meal. Making this Tehri in the pan is very simple, and quick. However, if you want to make things even faster than you can surely cook it in a pressure cooker or in an instant pot. 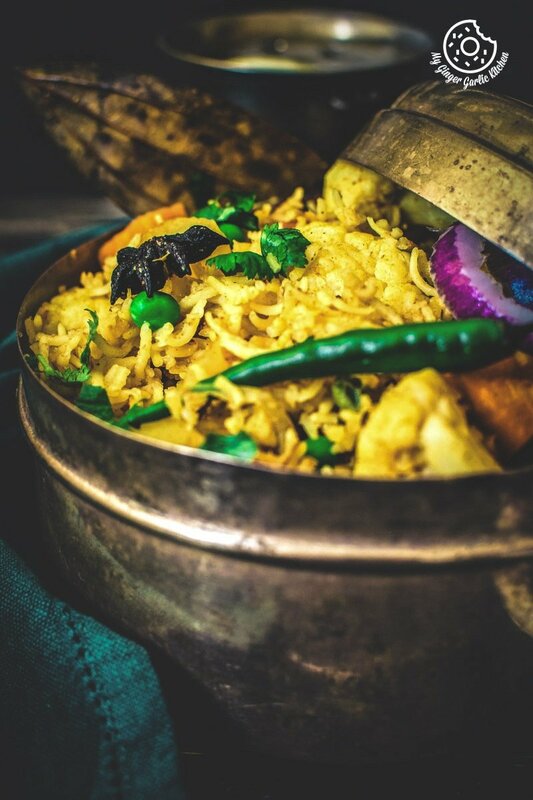 This fluffy rice Tehri tastes wonderful because it gets cooked with the bunch of whole spices, powdered spices and lots of veggies. Just imagine the flavor profile of this beautiful-looking satisfying perfect side dish. This stunning medley of vegetables, spices, and long grained rice is just beyond words. 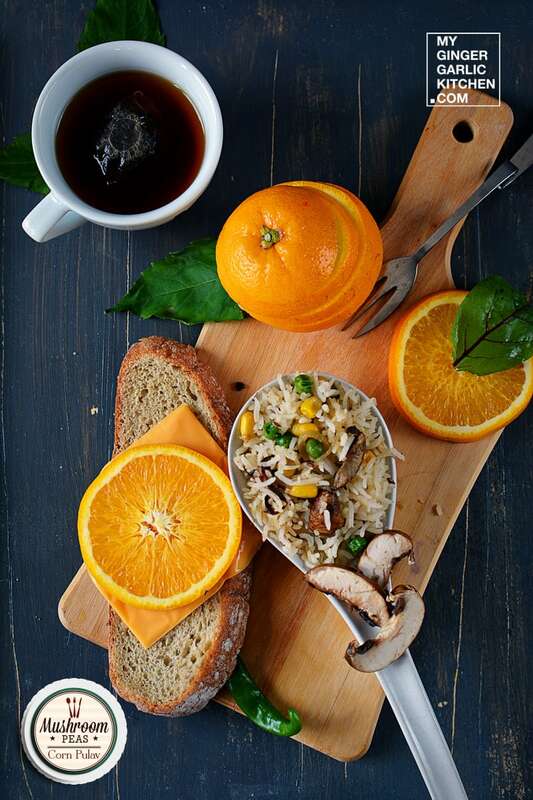 I love all things rice, no matter whether its a brown rice, pre-fluffed rice, regular long grain rice, short grain rice, fragrant basmati rice, jasmine rice, or broken rice. Basically, you just serve me any dish made with rice, and I would gobble it in no time. Cooking rice is kind of cakewalk. Anyone can cook it. I just love to cook it. There are endless dishes we can make with simple and humble grain ‘Rice’. I eat rice often and that often comes at least thrice a week. And sometimes this rice love affair goes for the whole week. Sometimes I make simple dal chawal to keep my comfort zone calm. Other times I just make fried rice with leftovers. On the days when I am really hungry and in a hurry I simply go for pressure cooker rice. On other days when I have plenty of time then I surely make some biryani or pilaf. I made this Tehri with some deluxe basmati rice because I surely adore Basmati rice. And why not? This fancy looking, palatial, fragrant and so delicately fluffed basmati rice can make anyone love them. Just check the video below and you will know for yourself. 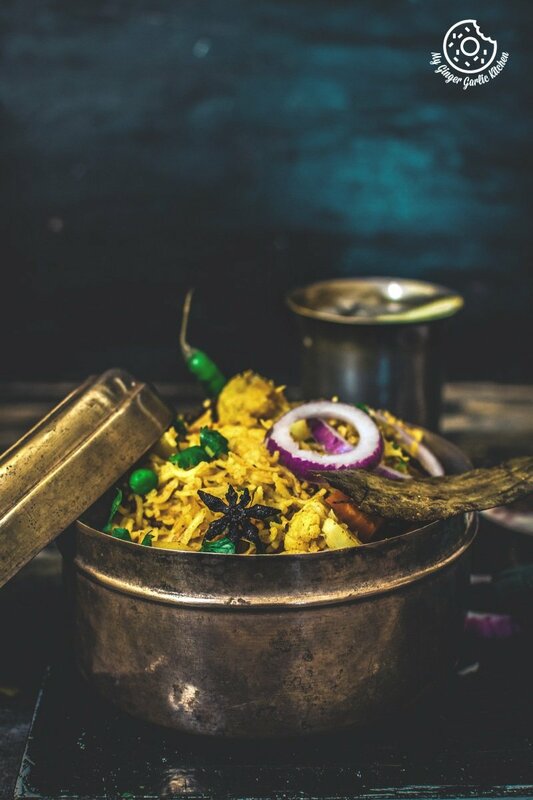 What’s the difference between Biryani and Tahiri? 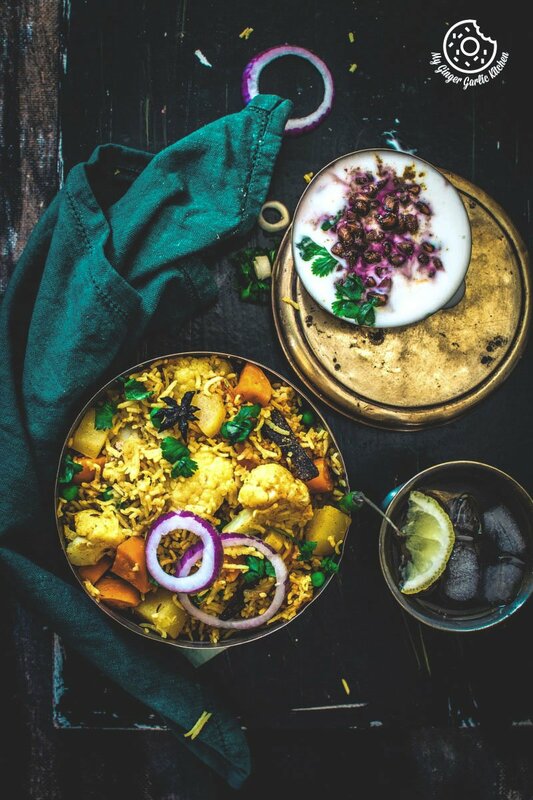 The process of making tahiri/taheri is similar to making a pulao, and it tastes somewhere between a biryani and a pulao. Thus, you may call them sisters from different mothers. Taheri is a non-complex one pot recipe rice dish where the whole spices and vegetables are sauteed together and then cooked in a pan or a pressure cooker until cooked through and fluffy. Where biryani always contains a gravy. And then layered with layers of par-cooked meat or veggies and rice, and then it gets cooked for a longer time. Cooking biryani is sure a laborious task which needs love and patience, that’s why I prefer making biryani on the weekends. This rice dish of Taheri stays fresh for hours, so this can easily be packed in the lunch box along with some yogurt or raita and papad. 1. In a pan heat 3 tbsp oil/ghee. 2. Add bay leaf, black cardamom, cinnamon sticks, star anise, cloves, peppercorns and let them roast for few seconds. 3. Add cumin seeds and once they start to splutter add sliced onions and sauté for 3 minutes. 4. Add diced potatoes and cook for 3 minutes. 5. Now add crushed ginger, crushed garlic and mix well. Let them cook for a minute. 6. Add cauliflower florets, carrots, and green peas. 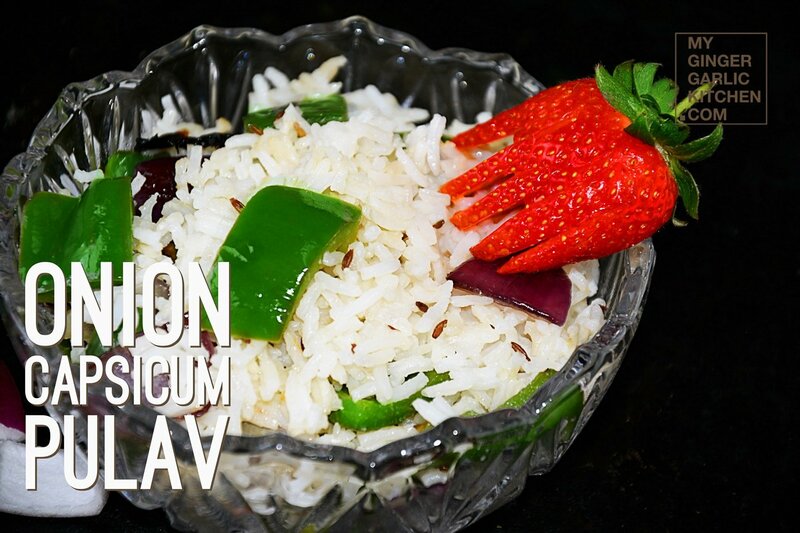 Mix well and cook for 2 minutes. 7. Add tomatoes and green chilies and cook for a minute. 8. Now cover the pan with a lid and let it cook for five minutes. (Transfer veggies to a larger pot, if you are using separate pan for sautéing veggies like me). 9. Now add the soaked rice to the veggie mixture and mix well. 10. Now add salt, red chili powder, coriander powder and mix well. 11. Add 3 cups of water a stir well to combine. 12. Add garam masala and mix well again. 13. Cover the pan and let the rice simmer till its 95% cooked. 14. Turn off the heat and let the rice sit for 10 minutes. 15. Gently fluff the rice with a spatula and Transfer it to a serving dish. 17. Drizzle with some lemon juice and ghee. 18. Serve it hot with plain yogurt or raita. Pressure cook tehri for for 2-3 whislets on medium hig heat.